I make no secret of how amazing our Emirates business class flights to the Maldives were. I’ve been explaining how you can earn the points/miles necessary for the award flight redemption, but the other part is actually finding award availability. So allow me to walk you through it. Determine where Emirates flies in the U.S. This is an easy one. Lucky for us, there are enough aviation nerds in the world who update Wikipedia frequently enough to make this webpage a reliable source. All the U.S. airports that American serves. As you can see, Emirates flies to 12 different destinations in the United States. North, south, east, west… they fly all over the country. For my example, I’ll select Dulles Airport in Washington, DC. Yes, Alaska Airlines’ website. It is the best site to look up Emirates award availability. While Emirates doesn’t belong to any airline alliance (Oneworld, Star Alliance, or SkyTeamYou), it does have a variety of airline partners. Alaska Airlines is one of those partners, which allows you to redeem Alaska Airlines frequent flyer miles for redemptions on Emirates. You do NOT need an Alaska Airlines frequent flyer account to look up possible award flights, and the website is an easier and better tool to use than Emirates’ own site. The Alaska Airlines homepage. Be sure to click the “Use Miles” box when searching for award space. Note that you’ll need to check the “Use Miles” box. A typical search for cash flights would only yield results for Alaska Airlines flights, but checking the “Use Miles” box will open up the search to Alaska Airlines partners, such as Emirates, Korean Air, American Airlines, British Airways, etc. An award search for flights from Washington, DC to the Maldives. Lots of economy award space, and a few business/first class options as well. The award availability in business class from DC to the Maldives. But looks can be deceiving. Both itineraries use the same departing flight from Washington, DC (IAD), but they have different flights from Dubai (DXB) to the Maldives (MLE). And if you look closely at the business and first class flights for the second itinerary, you’ll see a tiny symbol of an airplane seat. That indicates the itinerary includes two or more different cabins (economy, business, and first). After you select that option on the website, you’ll realize the long, transatlantic flight from DC to Dubai is in business class but the flights from Dubai to the Maldives is in coach/economy. That tiny airplane seat symbol means that one of the flights is in economy/coach class. For the same price, you’re much better off going with the option with BOTH flights in business class. The first Emirates flight listed in the search results does NOT have the the mixed-cabin symbol, so you would be flying in business class for both flights. Considering Alaska Airlines charges the same amount in points for either itinerary (82.5k Alaska Airlines Miles), you’re probably better off going with the full business class routing. This is an example where at least the long-haul flight in the mixed cabin itinerary is in business class; Alaska Airlines will also give results where the DC to Dubai flight is in economy/coach class, while the shorter flight to Dubai is in business… yet still charge the full 82.5k Miles. Obviously, avoid these types of redemptions at all costs. What’s also great about the Alaska Airlines website is that it can provide a month’s worth of award availability. In the “View By” column on the left side of the search results, changing from “Schedule” to “Calendar” will give you a calendar view of award availability and display the cheapest options (cheapest in frequent flyer miles) for each day. For some routes, this can be a valuable tool. But for the Emirates flight from DC to the Maldives, the search results can appear be too good to be true. “And you get award space! And you get award space!” Not impossible, but probably too good to be true. Remember that whole “mixed cabin” thing that charges you the same price even if the long flight to Dubai is in economy/coach? Those options are unfortunately also included in this calendar search. So you’ll still need to go day-by-day to see where both flights (to Dubai and to the Maldives) actually have business class award availability. If you are redeeming Alaska Airlines miles for a flight on Emirates, another great perk is the opportunity for a free stopover. A stopover is when you have a long break (more than 24 hours) between two flights on your itinerary, allowing you to spend time in the connecting city (Dubai) on your way to your final destination (in this case, the Maldives). Finding award availability on two separate legs of your itinerary can be a challenge, though. While I love the AlaskaAir.com website, the site only lets you search for award space if your itinerary either begins or ends in the United States. 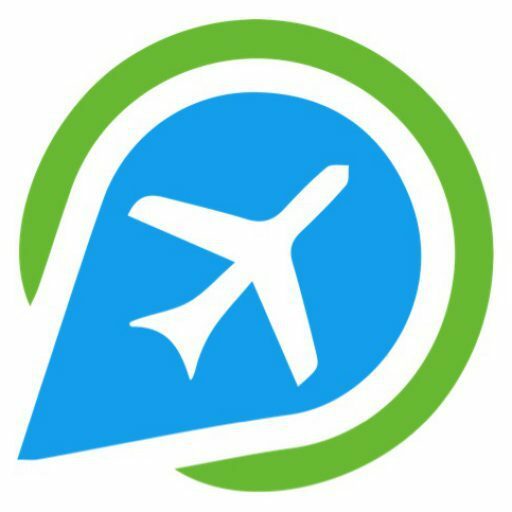 In other words, you will not be able to do a search on the AlaskaAir.com website for direct flights between Dubai and whatever your final destination might be. But there’s a quick workaround. If you do a “dummy” search for flights a few days after your original departure to Dubai, you can determine the award availability for future legs to your eventual final destination. For example, in my first example, my flight was scheduled to depart DC on Sunday, February 3, arrive in Dubai early on Monday, February 4, then depart later that morning for the Maldives. That itinerary left me with a two hour layover, which isn’t nearly enough time to take advantage of the Emirates business class lounge, let alone explore Dubai. The Emirates Business Class Lounge at the Dubai Airport. Easily the nicest airport lounge I’ve ever visited. If I make a “dummy” search for the same itinerary but departing DC on February 6, I see that there is award availability for the flight from Dubai to the Maldives on February 7. So I already know there is availability on the DC to Dubai flight on February 3, and now I know there’s award space to Maldives on February 7. Booking these two flights would give me three nights to explore Dubai, which is more than enough time to see the city. You could even check out Ferrari World or Abu Dhabi while you’re there. Since I already found my award flight to Dubai for February 3, I’m primarily concerned with finding award availability on the Dubai-Maldives flight. Looks like I found business class spaces on a flight departing on February 7, so I can have a stopover in Dubai. The catch is that you will have to call Alaska Airlines when you actually want to book an award ticket with a stopover. Still, it’s a huge benefit, since many airlines treat such stopovers as two completely separate tickets, which means the award flights would require more frequent flyer miles to redeem. But before calling, I would definitely recommend knowing whether or not the award availability exists on your preferred dates by checking the AlaskaAir.com website first. That will spare you some of the frustration of dealing with a customer service agent. Wondering how to earn Alaska Airlines miles? Check out my last post explaining why I signed up for the SPG American Express Luxury credit card. Want to know what else you can do with points? Take a look at how we were able to fly around the world in business class using credit card points.